It’s the most wonderful timeeeee of the yeaaaaar. Please tell me you just sung that to yourself… I did. I’ve genuinely just put my Christmas playlist on and I now have the Andy Williams classic blaring through the speakers. Ahhh this time of year is the best and I aim to drag it out for as long as possible. The Christmas aisles have officially launched in the shops, the London underground adverts have a side of mistletoe appearing on them and I’ve begun planning festive dates with my girlfriends. It’s basically Christmas now, right? Ahead of the festive season I figured I’d put together a little London Christmas bucket list to inspire you to get out and perhaps come up to the big smoke to experience the insane amounts of magic that fill the city here in London. Honestly, I’ve done two sunny Christmases in Australia now and both made me fall so much deeper in love with the spirit we have here in England this time of year. A classic, but a good one at that. There are so many different places in London that have ice rinks now! … to name but a few places! I’ll be heading to the Tower of London to skate next week, so head to Instagram for the live adventure! Top tip: If you’re a keen snow bunny consider heading down to London’s indoor slopes at Chel-ski. Pop your skis on (or you can board) and get ready for the winter season! There’s even an Alpine bar waiting for you to grab a cheeky après after your session. Looking for the perfect gift for your loved ones, or something for that office Secret Santa? Why not do it in the big city – it’ll be busy, but you have infinite choices. Shop on Oxford Street under the Christmas lights, explore the Christmas sections in Harrods, Hamley’s and Selfridge’s, or head to Covent Garden, Camden or Westfields… the opportunities are endless. Turn it into a day out with your girlfriends and make it one to remember! 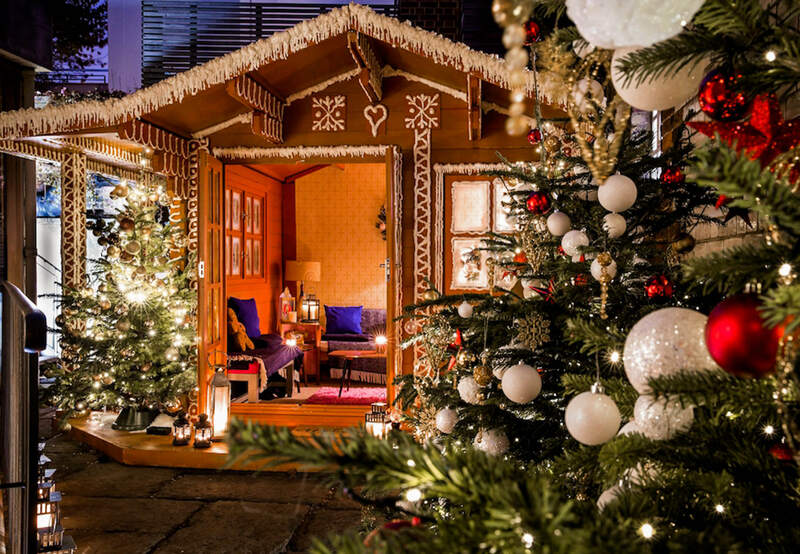 Speaking of shopping, you could also ditch the department stores and explore London’s Christmas markets for a more unique and independent shopping experience! And not only will you find all your presents here, but you’ll be inundated with street food, live music, entertainment and festive cheer. Southbank Centre, Kingston, Greenwich, Leicester Square and London Bridge are all good places to explore the cute little huts we all love at markets… and they are all free! Borough Market and Camden Market are also great at this time of year, as well as all year round! Everyone loves a good light display… right? And I especially love London when it is at its most sparkly. Most of London’s iconic light displays have already been turned on, but you can still appreciate their beauty without all the big crowds on that first day! Oxford Street, Regent Street, Carnaby Street, Bond Street and Marylebone High Street are particularly well known for their wonderful displays! There are also some other ways to see some amazing displays, however! Be sure to book all of these in advance because these experiences are known for selling out! ~ ZSL London Zoo have a one-mile illuminated pathway winding its way through the zoo in a magical after-dark experience. Note that the animals will be tucked up in bed and unavailable to view, but to see the animals and explore the trail where fairytale meets fantasy and larger-than-life, illuminated wild animal sculptures rise high into the night sky, you can buy a combined day and evening ticket! Why not make it a once in a lifetime experience and sleep over at the zoo?! The classic option is of course Trafalgar Square. The giant tree is an annual gift from Oslo, Norway, to thank Britain for their support during WWII. It’s being lit on 6th December so be sure to arrive at the square early to get a good view! There are also stunning trees in Covent Garden and St Pancras Station. #classic, on everyone’s bucket list… even if everyone knows about it, it’s so magical that I couldn’t not mention it! See more on the official website here. 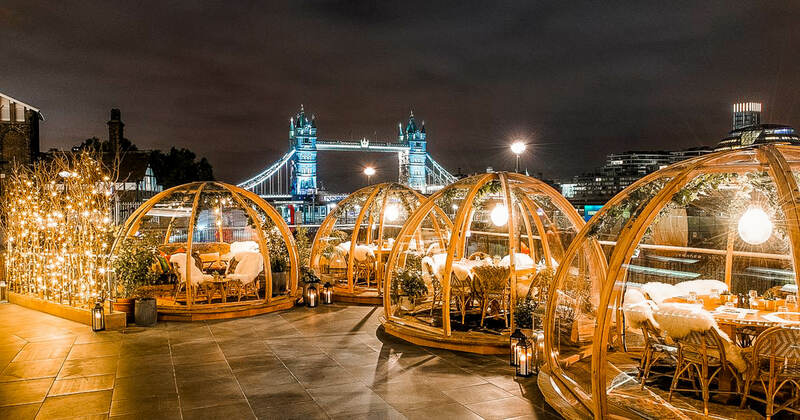 Based in Fulham but inspired by the Alps, this outdoor magical venue will satisfy all your après-ski cravings with some après-work dinner, drinks and fun! Entry starts at £5 and there are loads of areas within the complex, making it a more affordable option to have fun in London this Christmas. Camden is one of my favourite areas in London anyway, and it’s even more magical at this time of year. From a show at the Roundhouse, to exploring Camden Market, to heading to Winterville – another alternative Christmas fun day out, there’s something for everyone! Experience Christmas in the Wizarding World and discover how film-makers created fire, ice and snow that never melts as the Studio Tour undergoes a magical makeover. From the Yule Ball to the Triwizard Tournament, you’ll see how they transformed the whole set with with snow-covered Christmas trees, shimmering silver, dripping icicles and sparkling snow. See more on the website and book your tickets here. 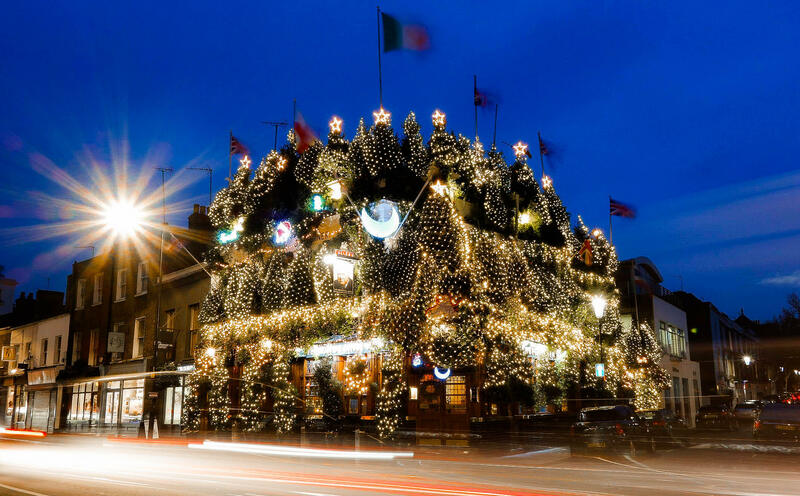 The Churchill Arms in Kensington (W8 7LN) always looks lovely as it’s decorated in so many flowers, but for the festive season the landlord adds over 21,000 Christmas lights to the exterior! Not cheap, but WOW. What a festive experience! See more and enquire here. Even if you aren’t religious, church services at this time of year have quite a magical atmosphere that you can’t quite experience anywhere else. ~ Jaz and Jul’s Chocolate House, N1 9EZ – good for vegetarians and vegans! ~ The Parlour at Fortnum & Mason, W1A: a hot chocolate bar with oodles of combinations! ~ Choccywoccydoodah, W1F: expensive but the hot chocolate of dreams! ~ Hotel Chocolat cafes – a classic. And so many more! Pop your favourite hot choc spot in a comment below! 15. …or a mulled wine! Or a mulled cider. Or a mulled gin. Or anything mulled! All of the Christmas markets and pop ups will be sure to have these! Whether it be a classic Christmas pantomime (Where’s Mollie? She’s behind you! Oh no she isn’t…), going to the West End, something more unusual like Disney on Ice, or more traditional like the ballet, London has so much to offer for every taste! Christmas menus are out, and there’s nothing quite like a cosy evening in the pub! Let someone else do the cooking for you while you enjoy dinner and drinks with your family and friends, either in the lead up to Christmas or on the day itself. The city is so pretty at this time of year, so why not see it from up high in its entirety!? Pergola have two rooftop bars (Olympia and Paddington), and Skylight offer tons of fun over at Tobacco Dock. Queen of Hoxton also hold rooftop events. Duck and Waffle isn’t quite a rooftop restaurant, but regardless, it does offer spectacular views across the city. One of my favourite areas in London, and it’s particularly special at Christmas. The lights, the displays, the boutiques, the mistletoe, the markets…. eeeeek I want to squeal with excitement! As well as Westminster Abbey and St Paul’s Christmas services, you could also head to the Royal Albert Hall, home to Christmas concerts since 1871, for another festive experience. There will also be carol singing around the Trafalgar Square Christmas Tree for a more authentic experience. Jimmy’s Lodge on the river and the Coppa Club offer a unique, once-in-a-lifetime, private dining experience during the festive season. Perhaps the most important on the list. We get so carried away with the commercial elements of Christmas, that we often forget that there are people who, as much as they want to, cannot celebrate Christmas in the same way as we all do because they are less fortunate than us. Crisis, Soup Kitchens, Night Shelters and more… so many people are worthy of our time and our help. Laura Reynolds at The Londonist has written a great list of places to volunteer in London this Christmas, and if you have any more suggestions please put them in a comment below! 23. Christmas Day in London! Worried that nothing will be open? That is not the case! Chinatown, Soho will be open if you want some less traditional food and many pubs will open for the occasion. Enjoy a walk or a bike ride through a park and along the Thames, and enjoy the peace and quiet in the big city! There is even a special Christmas Lights Open Top Bus Tour on Christmas Day. 24. 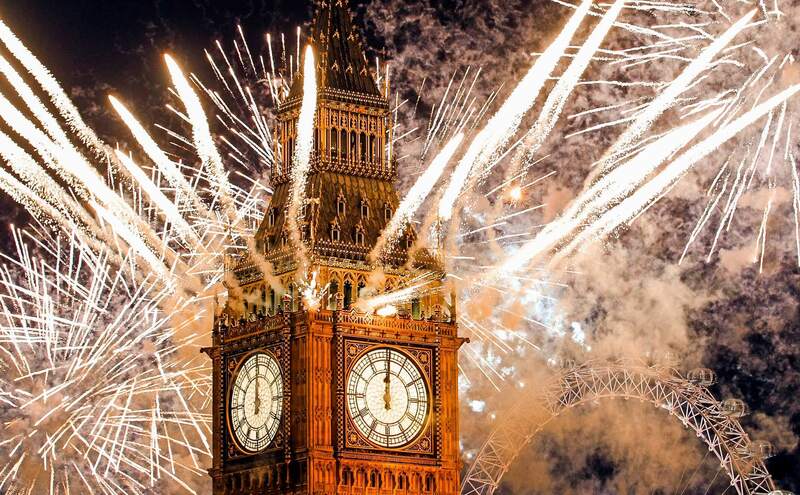 New Year’s Eve fireworks in London! And when you don’t want the festivities to end… spend the day in London exploring, and end 2018 / start 2019 watching one of the world’s most spectacular fireworks displays. You can buy tickets for the official firework event here (a second wave of tickets is being released on 30th November), or here is a list of places slightly out of the centre to watch the fireworks for free. However you decide to spend this Christmas season, make it a good one, spending time with the ones you love and enjoying new adventures! Cheers to that! 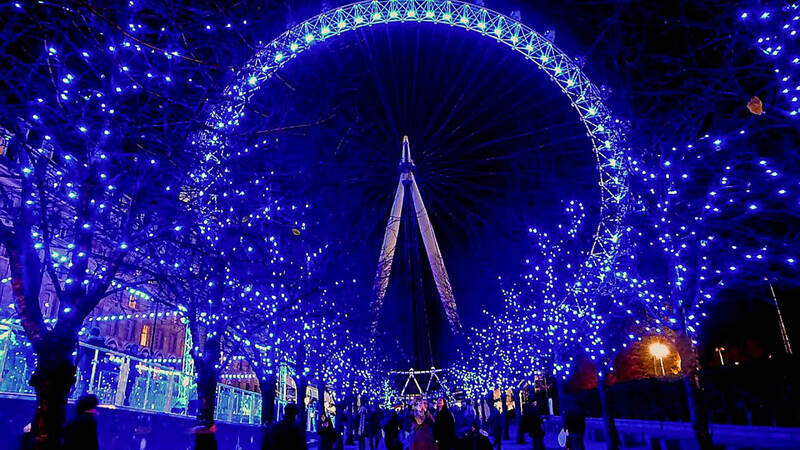 Have you been to London at Christmas?